In order to run a competitive roofing business in your local area, you have to get competitive online. In other words, you should start thinking about investing in an internet marketing strategy for roofers. This means you target a specific market, and you use different digital channels to get to the market. But first, you probably want to know how being competitive online is going to help your business, and this is the right question to ask. Because if you are going to spend money promoting your roofer business, you want to know the methods are effective. Basically, the internet has changed the way people do their shopping, and this includes how they search for local services. Instead of driving around town, they just go online and look for businesses in their area. From there they should be able to contact the business and enquire whether they have what the client needs. So if you want to see some significant growth for your roofing business, you have to focus on how they find you. Here are some internet marketing strategies for roofers you can definitely use. One of the best places to start is by establishing a website (or at the very least a blog) for your roofing company. This will serve as the place you will try to direct traffic, which is why the website should always be up-to-date and informational as possible. In fact, with a website in place, you can begin to experiment with content marketing. 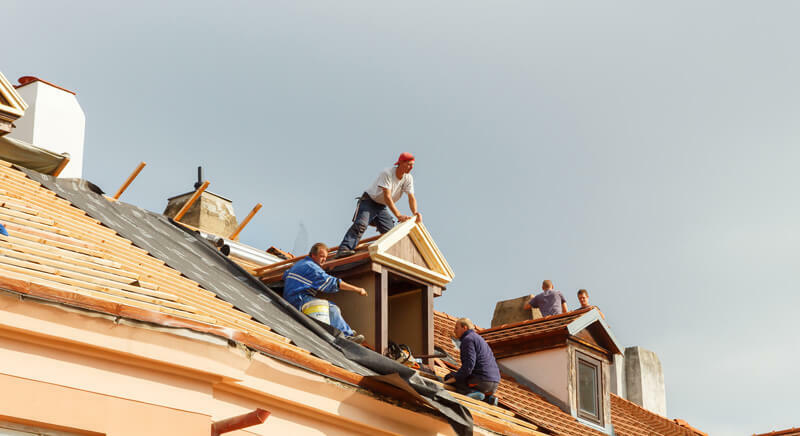 By using interesting content about roofing, you can establish your authority in the field and motivate more people to use you instead of someone else. Also referred to simply as PPC marketing, this is when you pay publishers to show your ad on targeted platforms. However, this can be tricky if you don’t use the right ad or approach the platform properly. There is also the matter of using the best platform at the best price. Keeping in mind that you don’t want to overspend on your budget, try to stick to publishers who are popular for getting results. And if possible, use a professional internet marketing company to help you create the best ads. Can anybody imagine a modern world without social media? The thought of not having platforms like Facebook or Twitter sounds a bit unrealistic to be exact. Now, imagine tapping into these huge platforms with your roofing business? Although, it’s not just about creating a profile and spamming people with marketing posts. It’s critical to build a following through quality interaction. Basically, you want potential clients to see a personality behind your roofing business. More specifically, you want them to see a personality they can like. The truth is, there are many different ways you can use the internet to your advantage, even if you are running your roofing business from a physical location. You are only going to gain more local exposure and who knows where it can go from there?